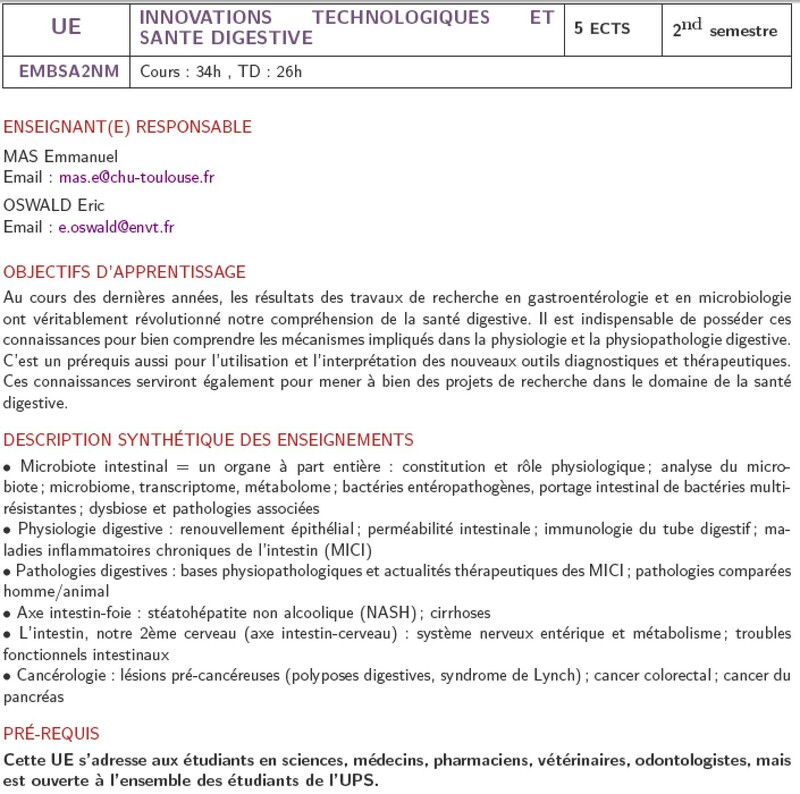 parcours santé digestive et nutrition"
In recent years, the results of research in gastroenterology have truly revolutionized our understanding of digestive health (eg, microbiota and diets play a crucial role in maintaining our health and preventing acute or chronic diseases). The researchers of the IRSD are involved in a university teaching program whose ambition is to offer a complete and broader view of digestive physiology and nutritional factors influencing health. 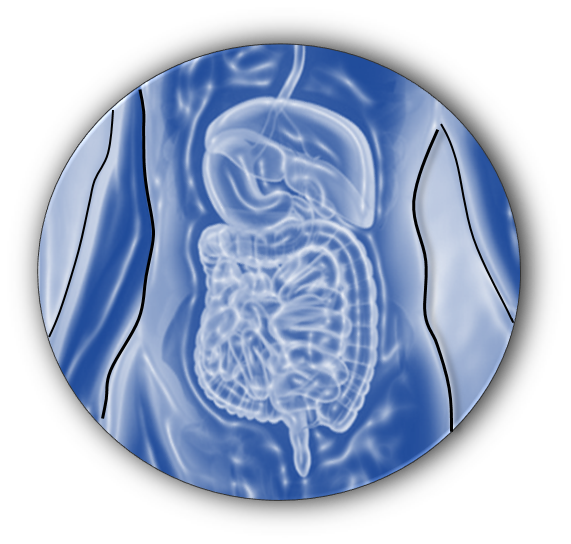 A transversal approach to the normal or pathological physiology of the digestive system is proposed. The aim of this course is to train specialists in digestive health and nutrition in the professional sectors of higher education and research, engineering and industry.